Mallorca is synonymous with world-renowned beaches and coves. It has 342 miles of coast, where you will find some of the Mediterranean’s most beautiful coves and beaches: white sand beaches with a full range of services, as well as small coves set between cliffs and pine groves in the north of the island. Its clean, clear waters are ideal for swimming and water sports but don’t forget. • View the spectacular Serra de Tramuntana mountain range • Enjoy the continuous string of sandy bays and open beaches • Visit beautiful Ciutadella on neighboring Menorca. 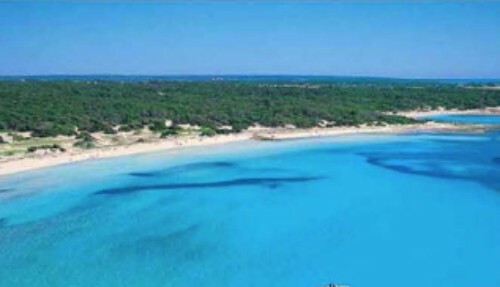 Always selected as 1 of the top beaches in europe, Es Trenc is the most famous beach in Mallorca, There are 1.2 miles of golden sand and crystal clear water, it’s often referred to as Mallorca’s answer to the Caribbean. It May Be Hot, But We’ve Got the Yacht! Copyright © 2017 Nicholson Yacht Charters, All rights reserved.